If you would like to volunteer with us and be a part of this great charity or would like to know more about Team Brave please look at our all new "Team Brave" page where you can learn about us and sugn up to hear about upcoming events. From Christmas in July at the Shriners Hospital for Children in Boston to the Annual Firefighter Auction. 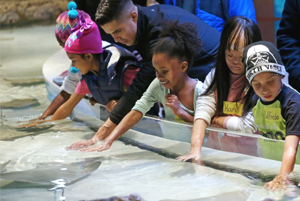 Our Events take place quite often to raise awareness and to support those who we can help. 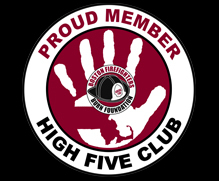 By becoming a member of this most prestigious club, you are ensuring that the Boston Firefighters Burn Foundation will continue to fulfill our mission "To ease the suffering and hardship of burn victims/survivors and their families". There was a special visitor in Boston Wednesday who you don’t usually see in the summer. Santa rolled up to Shriners Hospital on a ladder truck for a Christmas in July celebration. On Sunday, March 4, the Bruins joined the Boston Police Hockey Club and the Boston Fire Hockey Club to host the second annual Battle of the Badges hockey game. 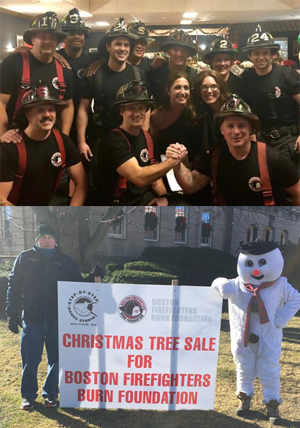 The event raised $30,000 for the Boston Firefighters Burn Foundation and Franciscan Children's. 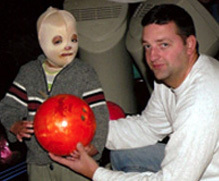 Join us for our Charity Ski Trip in Killingotn, VT from March 1st to March 3rd. For the 14th year, Santa and Mrs. Claus rode Tower Ladder 10 to the 7th floor of the Shriner's Hospital where they delivered presents and "holiday" cheer. Team Brave patients from Shriners Hospital in Boston and Boston Firefighters and volunteers met up with Chef Saba at Sur La Table for a special cooking class. 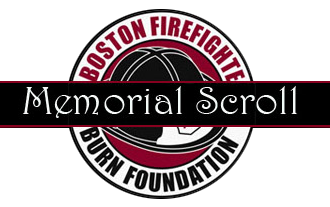 The Boston Bruins 50/50 Raffle Helped the Boston Firefighters Burn Foundation raise $19,000 . What it really means to "Be brave"
For the 13th year, Santa Claus and Mrs. Claus and volunteers visit patients at Shriner's Hospital. Boston Firefighters Burn Foundation Calender event held on October 9, 2014. 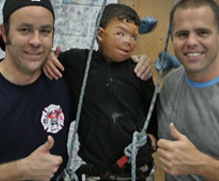 Team Brave helpsburn victims reach new heights. 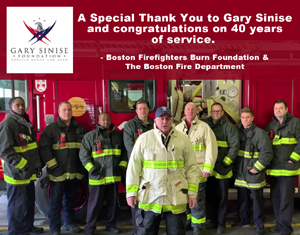 A Special Thank you to Gary Sinise and his foundation for 40 years of service. 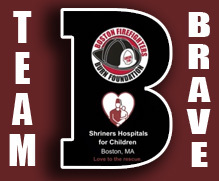 On December 19th, Boston firefighters are paired with the Shriners Hospitals for Children’s to celebrate Christmas with Santa and Mrs. Claus. On December 8th & 9th The Christmas Tree Fundraiser was held at City Hall waltham Hosted by Step by Step Dance Studio. In Memoriam of those who have been a great influence who have given extraordinary support.